Why Did Poe Write, ‘Quoth the Raven, Nevermore’? University of Virginia English professor Jerome McGann illuminates Edgar Allan Poe’s well-known, spooky poem, “The Raven,” and others in his new book, “The Poet Edgar Allan Poe: Alien Angel,” published just in time for Halloween by Harvard University Press. Poe, the celebrated author of some of the earliest American horror stories and mysteries, attended the University in 1826. He worked on his creative writing at the time, although he didn’t publish anything until the next year. Alas, Poe’s oft-repeated theme emphasizes the importance of memory, because life consists of continuous loss. Poe uses “evermore” because loss will always be part of life; “nevermore,” because we can never hold onto what we have or who we love, McGann said. Sarah Helen Whitman, a friend and love interest of Poe’s, for whom he wrote two poems, both titled, “To Helen,” said of the brilliant yet troubled writer, “He seemed haunted by the idea that he was never able to do justice to the dead,” according to McGann. Poe’s poetry, like his stories, might not be uplifting, but McGann in his book makes a case for him being one of most important early American poets. 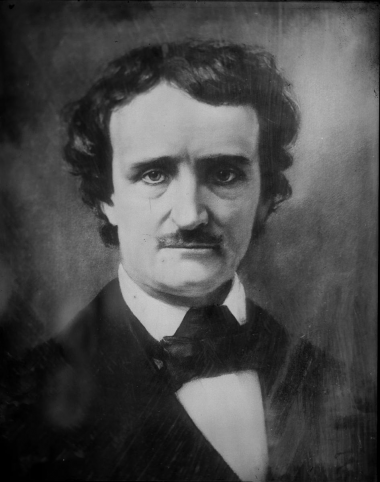 Unlike Poe’s stories, his poetry and ideas about poetics were not appreciated in his time and fell out of favor with American scholars in the 20th century. McGann seeks to redeem Poe’s verse and show why European and especially French writers admired his style. American scholars have failed to understand Poe’s insistence on oratorical performance – that poetry should be interpreted by reading it aloud and hearing it read, McGann said. Poetry’s roots in oral tradition especially declined in the 20th century. “That’s the heart of his theory. ... Poetry is fundamentally a musical event using language as the instrument,” he said. McGann, a pioneer in digital humanities and a member of the American Philosophical Society, said he has taught many classes on poetry and insists his students learn about recitation as a way to interpret poems. So take a look at “The Raven” on the Raven Society’s website and try reciting it out loud.